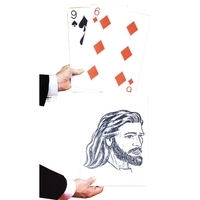 Magician shows three cards face up. Two spotted cards and the king of hearts. 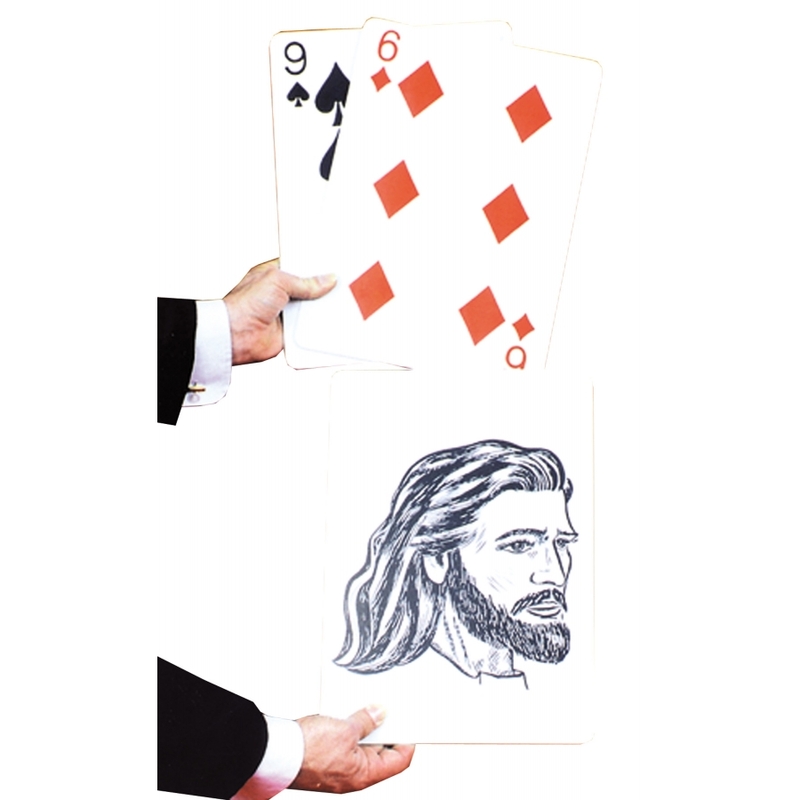 The cards are now turned face down, and the spectator tries to find the king. When he points to the card he thinks is the king, it is turned over. It's a picture of Christ. He is the real "King of Hearts" and the other King card has vanished.